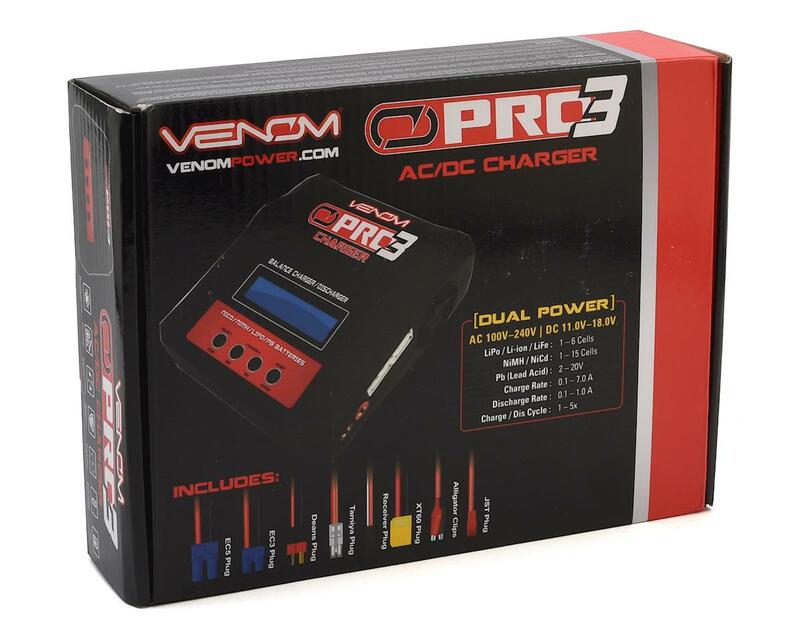 The Venom Pro 3 AC/DC LiPo Balance Battery Charger features an ergonomic case design, packed with an integrated power supply, on-board balance block and supports charging rates up to 7.0amps. 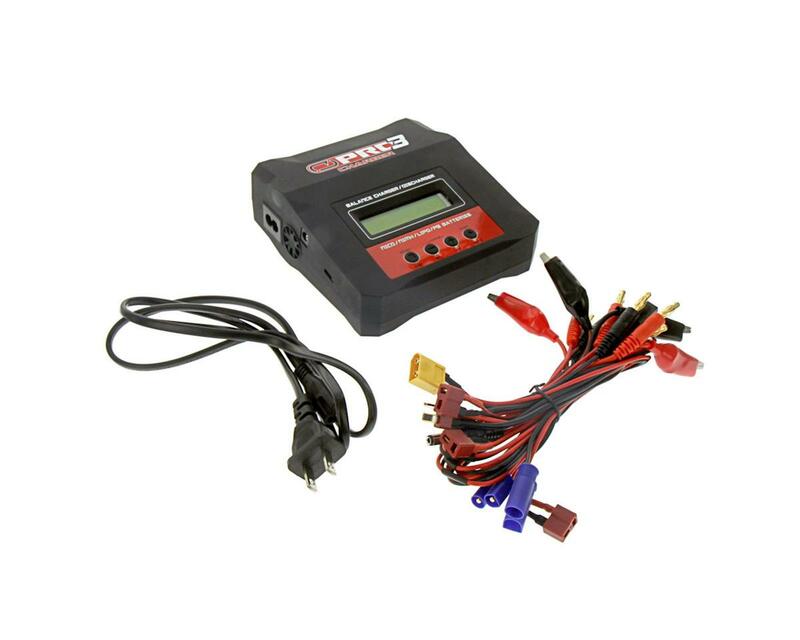 This AC/DC powered multi-chemistry balance charger is micro processor controlled, fan cooled and can handle Lithium LiPo batteries up to 6S, NiMH/NiCd batteries from 1-15cells and Lead Acid batteries from 1-10 cells (2v to 20v). 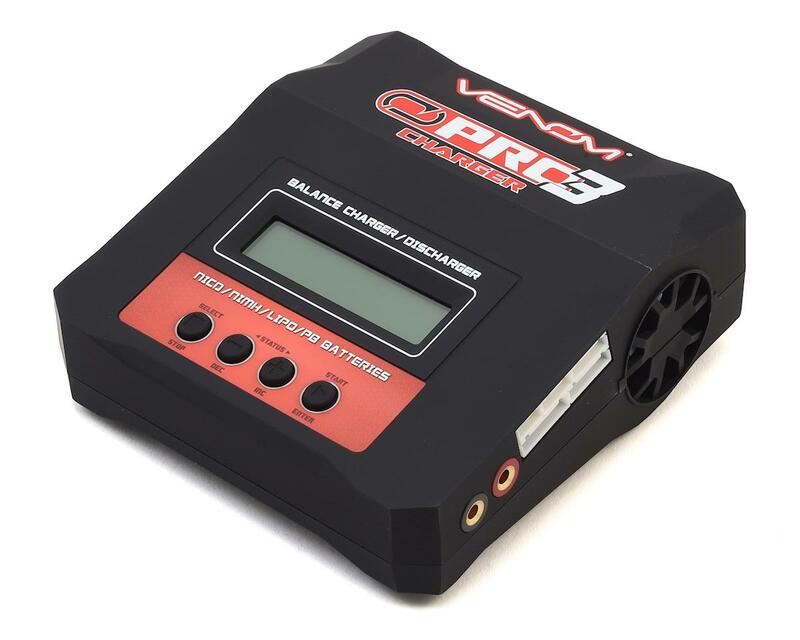 The Venom Pro 3 also offers many high end features such as multiple discharge profiles and recallable memory profiles for up to five of your most commonly used batteries. 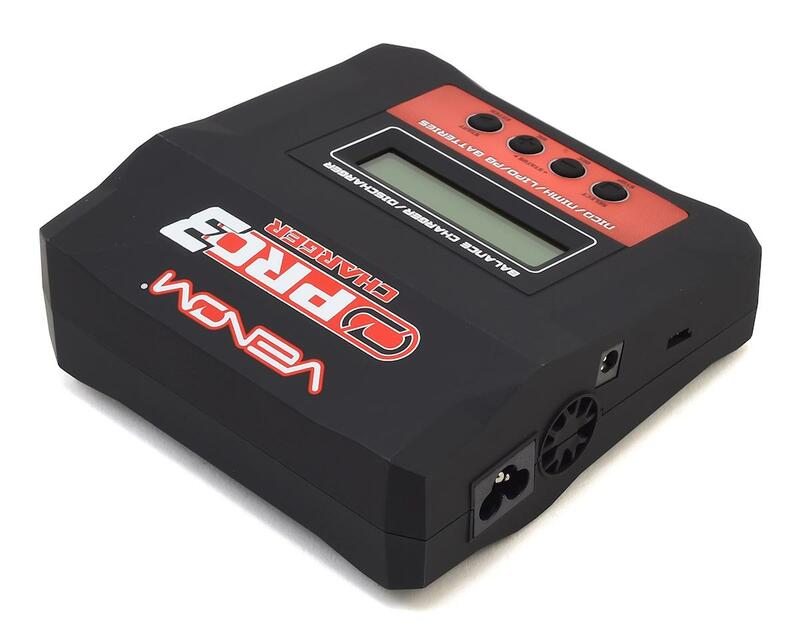 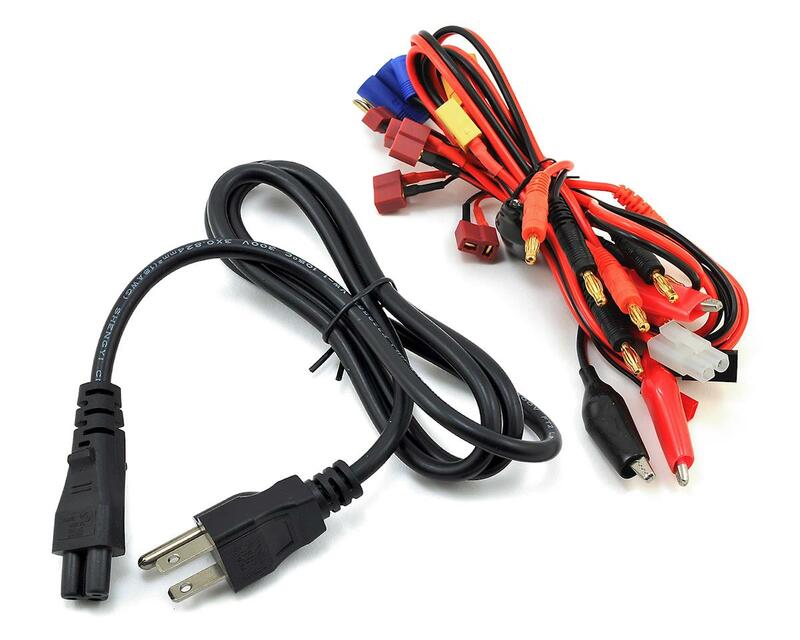 Plus, the Pro 3 includes eight of the most popular charging leads including XT60, Deans, EC3, EC5, Tamiya, receiver pack, JST, and alligator clips for trouble free connection to the most popular batteries on the market.